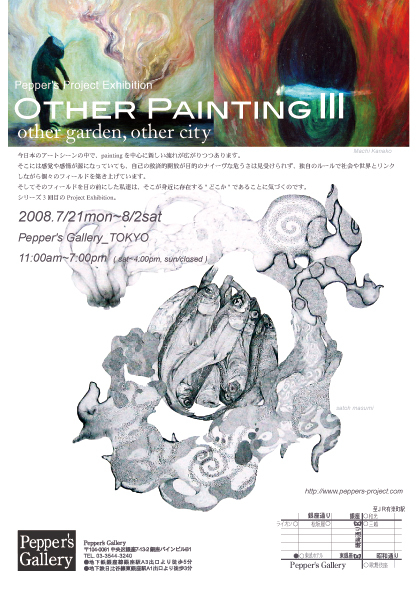 There are new movements occurring in painting in the Japanese art scene today. While the works coming out of this new movement is based on emotions and sensibilities, they do not show any signs of naïve aims of self-liberation or redemption. The artists involved in this new scene are relating to society and the world at large on their own terms and creating individual spaces within this world for their works. When we are faced with these unique spaces, we realize that they exist somewhere very familiar to us. 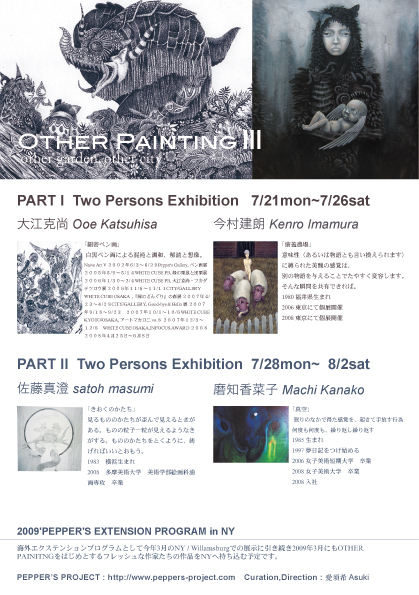 This is the third exhibition in this series.